Ready for Celtic pub crawl that blows the others out of the water, NYC? The Irish Stroll is back and taking you through New York City’s best bars and taverns – all without paying a cover. Day One of the Irish Stroll hits the streets Saturday, March 16th, so pull out your best green garb! This pint-chasing will bring you countless holiday drink specials, so you’ll be clinking glasses with friends all day long. 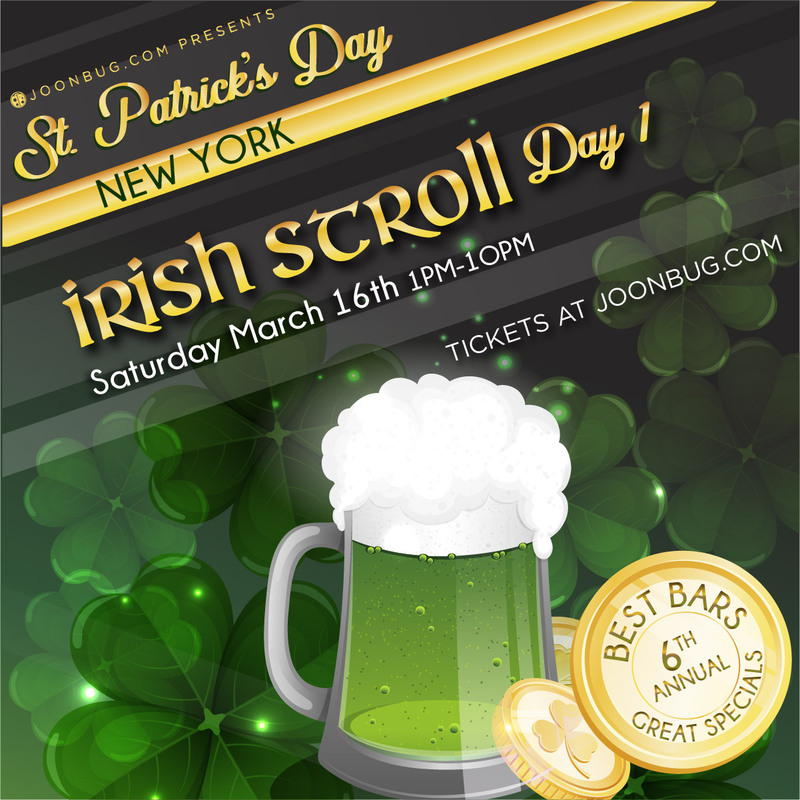 Ticket’s to NYC’s Irish Stroll are on sale now – secure your spot and show St. Patrick NYC knows how to honor the Emerald Isle!